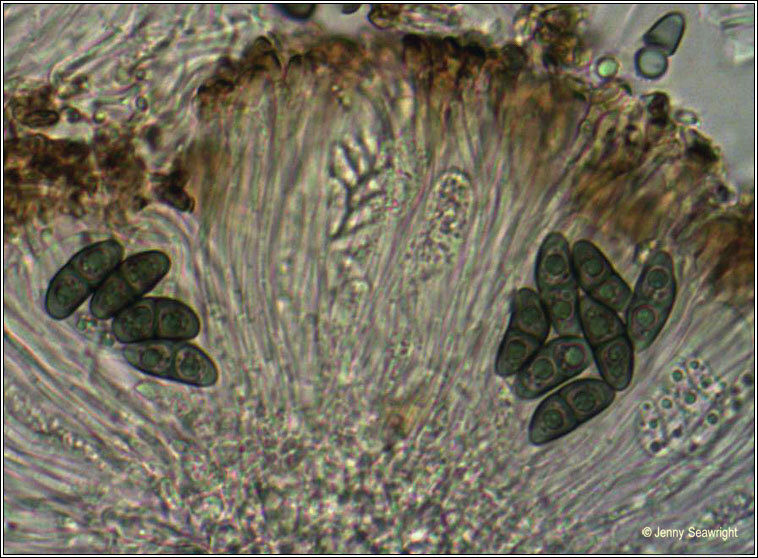 Pale grey to olive-brown thallus forming small, irregularly cracked patches, usually with a dark prothallus. 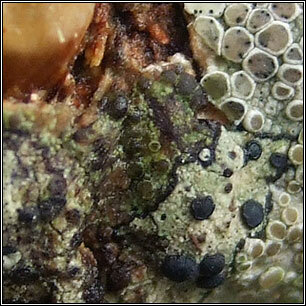 Apothecia are immersed, sometimes becoming sessile. Discs dark-brown to black, remaining flat with thick white margins. 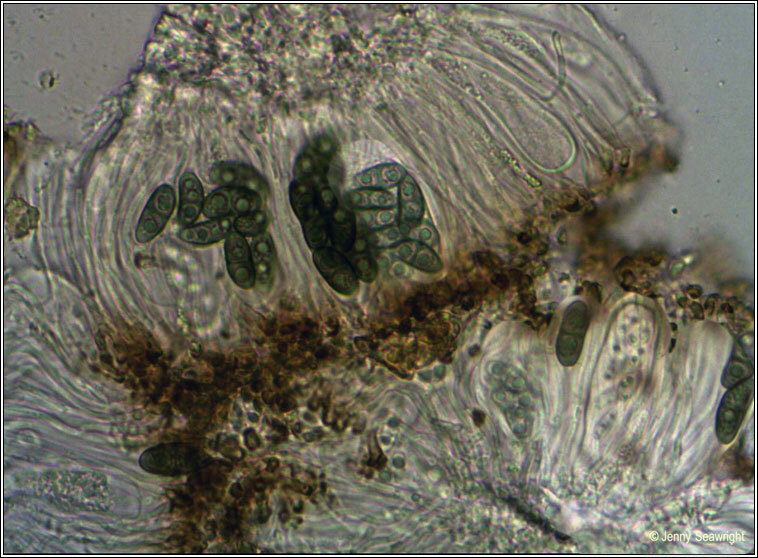 Asci are 8-spored, the spores brown, 1-septate, 13-19 x 6-9 µm. Microscope photographs below. 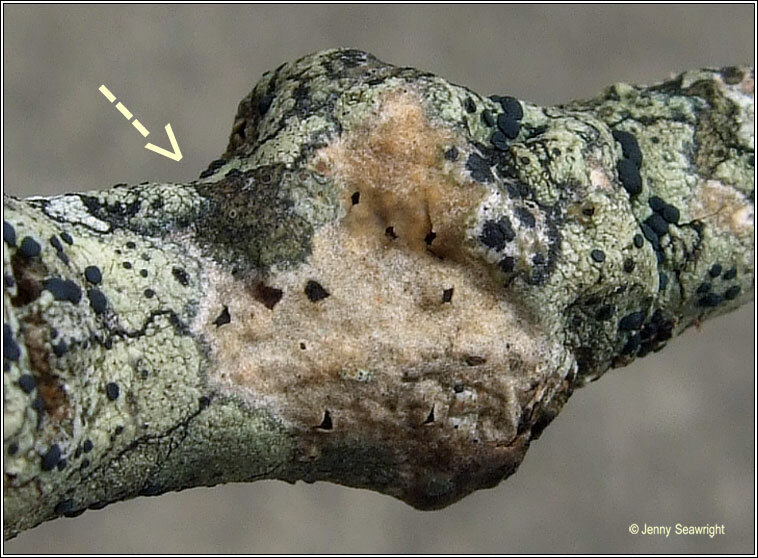 Usually occurs near leaf and girdle scars on smooth-barked twigs, often associated with Ash. Widespread, but most frequent in upland and exposed areas. Chemical reactions negative. Similar: Rinodina olea. 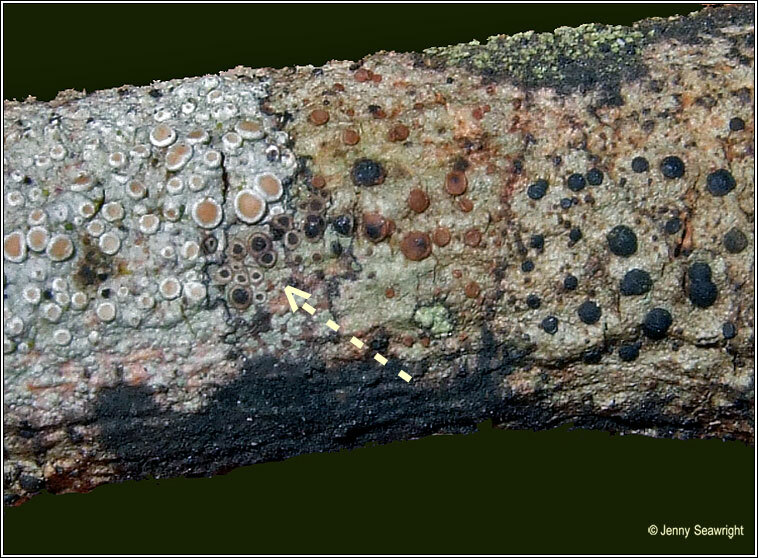 Most frequent Rinodina species on rock and man-made substrates, also occurs on wood and bark.